Join us for an evening of weird, wild and wonderful new fiction from Titan books. 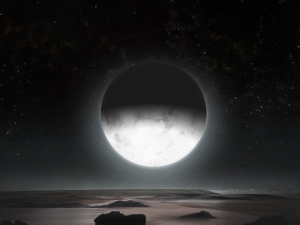 Authors Sarah Maria Griffin and Helen Marshall will discuss their most recent publications of speculative fiction. Discussion followed by book signing. Tickets available from Waterstones.com. Concession rates for ARU students. 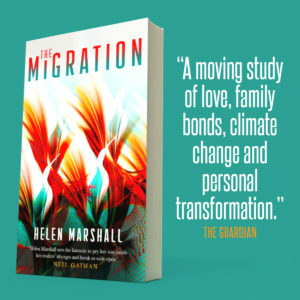 Helen Marshall’s The Migration is a poignant novel blending universal fears of climate catastrophe with intimate observations on the nation of personal grief, offering a deeply captivating meditation on human nature that will delight. Sarah Maria Griffin’s Other Words for Smoke – part Twin Peaks, part Stranger Things and part Sabrina the Teenage Witch – is a lyrical and transformative read from the exciting emerging voice in contemporary Irish Literature. Helen Marshall is the World Fantasy Award-winning author of two short story collections and two poetry chapbooks. Her stories and poetry have appeared in magazines and anthologies including Abyss & Apex, Lady Churchill’s Rosebud Wristlet and Tor.com. She obtained her PhD from the Centre of Medieval Studies at the University of Toronto, and then spent two years completing a postdoctoral fellowship at the University of Oxford investigating literature written during the time of the Black Death. Helen has worked as a managing editor for ChiZine Publications, and was recently hired as a permanent Lecture in Creative Writing and Publishing at Anglia Ruskin University in Cambridge. She grew up in Sarnia, Ontario, and now resides in Cambridge. Sarah Maria Griffin is a writer from Dublin, Ireland. Her nonfiction has appeared in The Irish Times, Buzzfeed, The Rumpus, Midnight Breakfast, Guts and Winter Pages. Her collection of essays about emigration, Not Lost, was published by New Island Press in 2013. She was the recipient of the European Science Fiction Awards Chysalis Award in 2017. 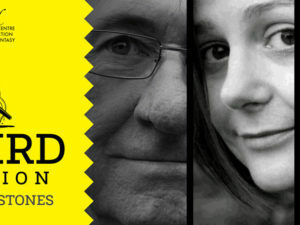 Her debut novel Spare and Found Parts was shortlisted for an Irish Book Award.